Book Now: £1295 £995 + VAT Book by 22nd April and Save £300! 41 experts. will be speaking. Starts at 9:00 AM. Once again you'll have the chance to learn from leading experts on Microservices, DDD and Software Architecture - with VIP keynotes from the likes of Michael C. Feathers, Julie Lerman, Simon Wardley, Liz Rice, Diana Montalion, Mathias Verraes and many more to be announced soon! Explore our confirmed speakers here. Follow us at #mucon for all the latest updates on the conference! 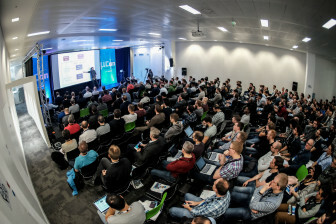 We have some great Early Bird offers still available, so if you are planning to join us for three days packed with microservices fun, get your skates on and book your ticket today! Microservices need DDD absolutely. Bounded Contexts, a key DDD ingredient, are the tool of choice to define services boundaries that won’t end up in a complete disaster at runtime and at deploy time. In this talk you’ll learn 18 different heuristics to help identify the boundaries of your Bounded Contexts and services, and to gain confidence before committing to your decision. You’ll discover how to split your monolith correctly. And it will be fun, with a few other surprises as well! Over the years we have learnt the hard way that there are a lot of important aspects in software development initiatives. Project management, user experience and operational details are examples of such aspects. They are necessary. However, they are not sufficient. In this presentation, Jimmy will discuss what really matters. Domain-Driven Design is very important to him, so it should come as no surprise that he believes deep collaboration with the domain experts to be one of the most important things to do and master. He'll delve into this in ways you probably haven't tried yet. Furthermore, he will discuss five other musts for reaching excellency. Jimmy Nilsson is co-founder of factor10 and a coding architect with the focus on the business of his customers. He has 30+ years of professional experience in software development and is the author of the books Applying Domain-Driven Design and Patterns and .NET Enterprise Design. For the past decade and a half, Domain Driven Design has been giving teams the tools to successfully tackle the complexity at the heart of software. But lots of people fail when they try to put its techniques and patterns into practice. Why? It can't just be because the book is so thick? Andrew and Gayathri's talk will start with the story of a large-scale DDD implementation gone wrong. They'll talk about how took stock of the situation as they found it, how they identified where the root problems lay, and how they set everyone off on a course of success. Regardless of whether you are working with microservices or a more monolithic architecture (nothing wrong there!) - this talk is for those who want to learn the lessons of implementing DDD at scale, with a healthy dose of pitfalls and hazards to watch out for too. Andrew Harmel-Law is a Tech Principal with ThoughtWorks. Having started his tech career as with Sun Microsystems he is old enough to have witnessed the dot com boom and bust first hand. His latter experiences over the last fourteen years have been as a consultant. He has a particular interest in setting dev teams up for success; loves teaching and mentoring; and encouraging diversity in tech. Andrew also loves learning new things, and is always seeking out people from whom he can learn new skills and gain different perspectives. 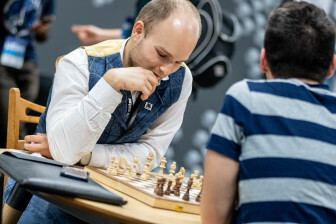 Having originally studied Neural Networks the second time they were cool (in the 1990s) he's also currently using his spare time struggling to catch up on all the fuss around Deep Learning. She has wide range of experience doing Application Design and Architecture, specialising in Distributed Systems for BigData and Applied Domain Driven Design, CQRS and Event Sourcing. She is currently working on delivering a (Big)Data Capture platform for Hotels.Com using DDD and Event Sourcing principles. She is a proficient speaker at conferences such as Devoxx, MuCon and an experienced blogger. Many organizations are embracing cloud-native technologies, such as microservices, containers, and Kubernetes, but are struggling to adapt their developer experience (DevEx or DX) and continuous delivery processes. Failure to adapt leads to longer lead times for delivery, frustration for developers, and stability issues in production. Architects and technical leaders need to drive this change. The developer experience with modern cloud-native technologies is very different than the classic enterprise experience of the 1990s or even the early cloud experiences of the 2000s. For example, it’s often no longer possible to spin up an entire application or system on local hardware, and the extra layers of abstract of containers and VMs make debugging and observing systems more challenging. Daniel Bryant explores the core concepts of the cloud-native developer experience, introduces and compares several useful tools, and shares lessons learned from the trenches. 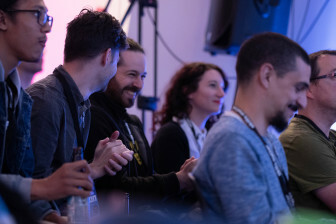 Lewis co-founded Cloud Native Wales, as an initiative to help people learn Cloud Native technologies and establish a community to support each other. When he's not playing with tech, he's busy trying to understand the logic of a toddler, what his dog is thinking and spending time with his family (preferably on a ski slope). Using DDD for mapping a company’s core domain is quite known and one can find many case studies on that, but case studies for merging or re-dividing domains upon acquisition are harder to find. As an R&D director at Taboola, Ora had the opportunity of leading a technical due-diligence of an acquired company. During that time Taboola considered a few alternatives of how such an acquisition might look like from two main perspectives: organization structure and technical integration whereas the two obviously affect each other per Conway’s Law. In addition, post acquisition previous assumptions turned out to be inaccurate and required further domain analysis, for finding a better solution. During those challenging times, Ora found DDD to be a very practical tool for executing the relevant change. If you are in a dynamic company where teams, products and domains grow fast and then split or merge, you need to constantly analyze the domains and consider alternatives for those changes. From his experience, DDD approach helps visualizing and considering these alternatives while being able to keep the discussion both business and technical. With 15 years of experience in designing architecture and leading groups, Ora’s passion lies in the connection of building an architecture that empowers and motivates teams to take e2e ownership on products. Currently Ora is R&D Director at Taboola, leading the Publishers R&D Group. During the massive growth of Taboola from 400 to 1000 in 2 years, Ora came across DDD and practiced it for building autonomous teams which are strongly connected to the business. She is also an active member of the DDD-IL meetup group and takes on herself to spread DDD knowledge where relevant. Besides software engineering Ora also holds an MBA from TAU where she also mentored in the GBS excellence program. Distributed systems are all about time. Traditional modelling styles, focused on things and structures, are not the primary way anymore to build modern systems that handle complexity well. Entity-centric designs tend to have an uneasy relation with events happening over time. The actual business processes, the heart of how organisations operate, end up hidden in the many calls between services. Temporal Modelling is the cure: build models and systems that make events and processes the first class building blocks of a domain model. In this talk, Mathias is going to look at how reasoning with time helps you better understand how to build your software. Some companies are going “full DevOps” and apparently releasing at the speed of light. Other companies are still struggling with estimations and slowly thinking about going microservices. Other are happy with their monolith, but struggling with recruiting. We’re all developers, but we’re not doing the same job. The line connecting a problem to its solution is relatively straight in some organizations and incredibly convoluted in some hours. Processes, Software architectures and Organization are not separate concerns, neither are orthogonal. Pretending to fix one thing without touching others is a losing battle. We’re part of the problem. Our software is part of the problem. We can be part of the solution too. Everybody knows there are hundreds of technical patterns you can apply to microservices. Yet nobody knows about the hundreds of domain patterns you can apply to microservices. By aligning your microservices with your business domain, you create a software system which is easier to comprehend, easier to evolve, and easier to develop at speed because it can change with the business. Understanding domain patterns helps you align your microservices and your business domain. Learn why it’s important not to confuse The Entity Lifecycle Pipeline and The Proposal Pipeline. Learn how to manage complexity, and politics, when your domain contains an Octopus Context. And learn about many other domain patterns including The Dogfood Context, The Engagement Context, and The Brain Context. 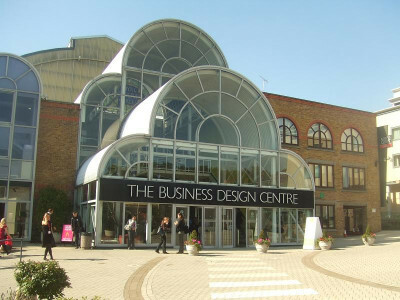 To create the best architecture you also need to understand the business model. By viewing your microservices as business capabilities aligned to domain patterns, you will be able to design the best architecture for your business and for the teams building your microservices. Healthcare is a multi-trillion dollar industry, with a complex ecosystem of patients, providers and payers, entwined by diverse systems and a shifting regulatory landscape. Healthcare is no longer local; laboratory tests cross borders and radiology reading is outsourced offshore. While overwhelmingly complex, healthcare is also one of the most rewarding industries to work in, making direct impact to the lives of patients. Sonya will dive into the complexities that an architect in healthcare faces and ways to address them to create robust solutions and improve patients’ experience. Sonya is an integration solutions architect at Guardant Health. Her passion is helping patients by building excellent software. She has worked in a number of different industries, but she always returns to healthcare. In addition to building software, she enjoys building effective software teams and driving improvement in software development processes in this highly regulated industry. Are you already using events to communicate between (micro) services or (DDD) aggregates? If so, this talk is for you! But if not ... then even more so! :-) Asynchronous communication and event choreographies gain popularity for good reasons. And yet you may get lost in an open sea of events only too easily - at ten degrees and without a life belt! In the first part of his talk, Martin will show that events form the basis for a simple yet robust model that makes the technical complexity of distributed systems manageable. What distinguishes service internal events and event sourcing from service-external integration events? What connects both topics? Which DDD ideas and concepts help to get closer to the promise of low service coupling through events? In the second part, Martin discusses why events and pub/sub seem to help less in business-wise complex scenarios. Does a practical need to model promises, intentions and contracts between services directly force us back into old school orchestration? Not necessarily! Martin will suggest and explore a powerful "choreography 2.0" pattern, with which the moment an intention emerges is modeled as a historical fact. Last not least: expect Martin to show real code modeling event sourced sagas - plus a type safe (Kotlin) DSL to describe sagas declaratively. Google is an amazing tool, and let’s be honest, it has helped to build most of the software you’ve ever worked on. But when you are able to look up “that basketball dog movie” or “111th element” without having to recall cheesy 90s movie titles or knowing how to spell Roentgenium - people’s expectation of search go up. But replicating search functionality for your own uses or users isn’t that simple, especially with microservices. Trying to retrieve data from multiple tables - never mind different databases or clusters – can easily balloon in complexity and load on your system. That’s why Landbay built their own search microservice. Using Elasticsearch, custom indices, and event-driven messaging design patterns, a separate search microservice provides fast and flexible access to data across the whole platform. Searches happen in near-realtime, the frontend is able to dynamically generate search tables, control is centralized in configurations to make creating new searches a breeze, and you can completely re-index the system without any disruption to users. Of course, the end result isn’t exactly the same as Google, but it definitely beats using complex search query boiler plate. Or Bing. Heather is a software engineer who spends her days working on Java, microservices, and all the backend tools that help put them together. After years studying finance and working in operations around the world, she is currently focused on growing and improving the distributed microservice system at Landbay, a peer-to-peer FinTech start-up here in London. It comes to no surprise, that any microservices, any security controls you use to build applications – will eventually be broken (or fail). Under certain pressure, some components will fail together. The question is – how do you build your systems in a way that security incidents won't happen even if some components fail. And the data leaks won't occur even if penetration tests are successful. Liz Rice is the Technology Evangelist with container security specialists Aqua Security, and also works on open source projects including manifesto and kube-bench. Prior to that she co-founded Microscaling Systems and was one of the developers of image inspection tool MicroBadger. When not writing code, or talking about it, Liz loves riding bikes in places with better weather than her native London. End of muCon Day 1 - Party buses will be ready at BDC forecourt at the end of the last session to ferry all those with party tix to CodeNode! 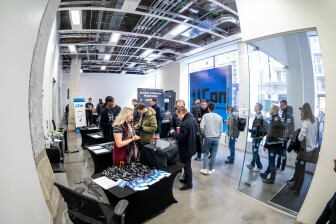 muCon at CodeNode (10 South Place, London EC2M 7EB) with Drinks, Nibbles & Music! Keynote: Getting to DDD: Pragmatic or Principled? Domain-Driven Design is a vast topic. There are so many wonderful concepts, philosophies, patterns, practices and techniques to learn and benefit from. Some of the best minds in the industry have been tuning these practices for years to ensure developers are able to implement proven, successful approaches to software design. Domain modeling in particular is very specific with guidance on designing and coordinating the dance between the myriad moving parts in our system. Yet learning the principals of DDD can be daunting for developers who are new to DDD. To encourage and enable more developers to get on the path of DDD, is it reasonable to allow a more pragmatic approach over a principled approach of adhering strictly to DDD guidelines? Should developers be encouraged to start with low hanging fruit which they can quickly benefit from in their software projects while they continue to learn, to gain a deeper understanding of Domain-Driven Design in order to evolve and adapt their practices as they move closer and closer to the beauty we all know that can be achieved with DDD. Yelp operates a modern, heavily automated, autoscaling platform for microservices to enable reliability and elasticity. Designing and operating the edge infrastructure for such a platform is an interesting challenge. This talk, will review how they built and continue to evolve Yelp's edge infrastructure, using standard open source components and how they addressed resiliency challenges such as failover while operating over a highly elastic microservices platform. Sarguru Nathan is a site reliability engineer who works on large scale infrastructure problems at Yelp, specifically focussing on the edge infrastructure. He is an open source contributor and lives in London. Event sourcing offers you many benefits from both business and pure programming angles. As it's such a fundamental design principle, one might argue that it should be introduced early in your designs. However, this doesn't need to be the case. Especially, when you are anticipating future requirements to be based on this but you don't have a budget to solve them yet as you are dealing with today's problems. Join Tugberk in this session where he will walk you though an evolvable software architecture based on Domain-driven Design and CQRS, which can let you optimise for today's problems at the same time allowing you to design towards event sourcing. You will also start understanding the concepts of Hexagonal Architecture pattern, which puts the Domain at the heart of the system and pushes the input and output at the edges. This talk will give you some techniques to let you be tactical about your architectural approach, which will be especially handy when conflicts arises between business needs and refactoring costs. In this talk Susanne would like to share some lessons learned from a microservices journey - and in hindsight, what to watch out for if starting the journey again. As Microservices have grown in popularity in recent years and quickly became the preferred method for many developers, more and more teams are facing difficulties integrating and extending them with the high cadence promise they initially delivered. If you feel you are approaching the end of your Microservices honeymoon period, then this talk is for you! Erik will explain what DDD's Strategic Patterns are and how adopting them helped them to better align their tech with the business, facilitate team autonomy and ownership and most importantly deliver high quality products faster! Erik is an IDF Programming School (Mamram) honour graduate with 10 years of experience in software development, project management and architecture with a proven record of leading product development in startup and growth companies. R&D Director @ Fiverr, leading the Buyers R&D Group. Over 6 years of experience practicing DDD in a number of verticals including Trading and E-Commerce. Software development is model building. You rebuild a part of the world as a program and improve it by doing so. A traditional approach is to reproduce the domain as accurate in every detail as possible – building the company-wide canonical domain model. But is this the actual goal of models? If you look close enough, you will see that a model is the exact oposite—a model is actually an abstraction of the reality in which only the essential parts are transferred. The inessential is left out of the model. What parts of the reality are essential or inessential is defined by the context. A simple model is easier to understand than a complicated one. Therefore, it is a good idea to break a complex reality (i.e. domain) into multiple simple models. Exactly this effect is what the strategic design of DDD takes advantage of. Here instead of one complex company-wide model we build several small models that are easy to understand. In this talk Henning will look into bounded context and the other tools that are available to to divide the domain into clearly separated models. Henning loves to code. He follows this passion as a software architect and consultant at WPS – Workplace Solutions in Hamburg, Germany. His projects are domain-driven, agile and in languages like Java, C# and even ABAP. Henning is interested in the evolution of programming languages, long-living software architectures and big refactorings. Recently he translated »Domain-Driven Design distilled« into german. Henning is married and has children. But What About the UI? Ever since developers started breaking applications into services, be it in the era of SOA or more recently with microservices, they’ve struggled to incorporate user interfaces into their decoupled, distributed architectures. We’ve all seen frontends versioned separately with tight coupling to dependent services, breaking cohesion. The rise of Backend-For-Frontend is real and so is the emerge of micro frontends. We all talk about composition, yet so many projects fail to implement actual composition. The result seem to be some kind of compromise proving hard to scale when multiple teams are involved - causing lock-step deployment, latency, bottlenecks and coordination issues. What if you could find a viable solution that allowed you to scale development, keep distribution and cohesion and also provide composition of user interfaces? This talk explores the different patterns available, and attempts to pinpoint their pros and cons, effectively serving as guidance to implementing proper composition. Thomas will go beyond the simple “Hello World” example that always seems to work, and you’ll learn patterns in modelling and designing that can actually be employed for composition. Thomas is a consultant from Norway who specializes in software architecture and development. He's been a practitioner of Domain-Driven Design for the past 7 years or so and finds great joy in pondering in business problems. Clients and colleagues know him as an energetic and passionate craftsman who loves to learn, experiment, fail and succeed while sharing his own experiences and knowledge. Having worked with too many languages and technologies to mention, Thomas has found the intersection between business and IT to be a far more rewarding approach to problem solving and easing up the everyday work of software development. He's known for holding workshops and talks for both his clients and at local user groups. Think of this talk as Microservices 201. You know microservices basics and their pros and cons and have maybe even started putting them in production but haven’t spent much time thinking about how to maintain them. Maria Gomez explores the most important operational concerns for maintaining microservices and explains why observability helps you in maintaining a healthy production environment. Maria Gomez is the Head of Technology at ThoughtWorks Spain, responsible for driving the regional strategy and supporting the teams on the ground. Over her 10 years of industry experience, Maria has worked with many different technologies and domains, which has helped her lead teams and advise stakeholders in making the right technology decisions. She is also a speaker and an advocate for diversity and inclusion in the IT industry. Discovering the unknown isn’t easy and in this area, Event Storming has become a de facto standard. Similarly, Example Mapping is an awesome weapon for distilling a user story based on concrete examples. Thomas and Bruno will propose you join them to experience a workshop where you will practice Event Storming reinforced by Example Mapping. Einstein (probably) never said, "if you can't explain it simply, you don't understand it well enough yet." He was a master at creating conceptual understanding though. When designing systems, Diana argues that if you can't make a case for it, you (probably) don't understand it well enough yet. Systems architecture is the art and science of conceptual decision making. What is the best possible solution under the circumstances? The circumstances are always uncertain. And the people considering them usually have disparate views of “best” and “possible”. Yet, people must make interdependent and interrelated decisions if the goal is conceptual integrity. Fred Brooks says that conceptual integrity is “the most important consideration in system design.” The value is clear: the quality of your conceptual thinking becomes the quality of the system itself. The antithesis to integrity, Brooks says, is a system with “many good but independent and uncoordinated ideas". Isn't that how many projects approach product development? Products that might seem, conceptually, independent are, more and more often, a coordinated part of an emergent system. The success of those systems depends on building bridges between business and technical, strategy and implementation, product engineering teams and other product engineering teams. To do this, you stretch your thinking beyond specific technology solutions, into the world in which the problems exist. And you become very, very good at making a strong collaborative case for how to solve those problems. If you’ve read The Economist, donated to Wikipedia, or contributed to The World Monuments Fund, you’ve interacted with systems that Diana helped to architect. She has 15+ years experience delivering initiatives, independently or as part of a professional services group, including Stanford, The Gates Foundation and Teach For All. She is co-founder of Mentrix Group, a consultancy providing enterprise architecture, technology strategy, and content systems development. On Sundays, she is a trainer of unruly retrievers and an aspiring plant chef. End of muCon Day 2 - See You Tomorrow! 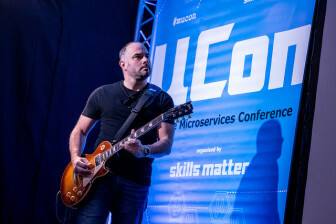 Join Simon for his Keynote talk at muCon London 2019! Observability is one of the buzzwords of the day. You have the 3 pillars, a plethora of tools, great books. You moved your monolithic apps that lived in the datacenter to distributed microservices in the cloud, with the promised land of cost savings and an Agile organisation. However, are you delivering more business value? Today, you send metrics to the systems managed by the Operations Team and at the same time to the Business Intelligence systems. However, you have the will for your teams to have autonomy and ownership of the systems which they put into production. How can you merge the best of both worlds, giving autonomy to your development teams, have a reliable system and increase the business value delivered? Join João on his journey, using collaboration techniques from the DDD community to discover the Domain Events that generated business value and how it is related to the technical components of the system. During his talk, he will address the challenges of bringing the two sides of the same coin together, creating a healthy environment among all parties. Follow João on Twitter @joaoasrosa and check out his blog here. Nicki is the Chief Technology Officer for OpenCredo responsible for the overall direction and leadership of technical engagements. A techie at heart, her core expertise lie in problem solving and enabling pragmatic, practical solutions. Over the years at OpenCredo Nicki has worn many hats which has included the development, delivery and leading of large scale platform and application development projects involving Cloud, DevOps, Containers and PaaS. Nicki is also co-author of the book Neo4J in Action. The foundational principle of microservices is to segregate functionality into abstracted units. What if you want to empower your business with self-service access to almost every data source? Bringing data together after painstakingly designing separation is counter-intuitive. Would you even have any of the benefits of a micro-service architecture anymore if you have one big fat database with all your data in it? Chris will explain how, at Landbay, we maintain totally different data stores and built an awesome downstream data-warehouse reporting solution with a robust data pipeline. He will cover the Dos & Don’t as he talks through the evolution of the data pipeline architecture, touching on many technologies as he goes, from Redshift, Glue & Apache Spark to Stitch, dbt, Great Expectations & binlogs on the cloud. The IT industry seems to go through cycles of re-discovery of lost knowledge with every new generation of developers, which probably is not so odd considering the exponential growth of practitioners. Allegedly half of the programmers today are juniors, which means many of them have yet to encounter the challenges faced decades ago. For example, many run the risk of falling into the trap of modelling services around domain entities, risking ending up with a distributed monolith with its devastating coupling, fragility, and cognitive nightmare. Luckily, there are shoulders to stand on to get out of the quagmire, or even better, prevent getting on to that slippery slope in the first place. Being conscious of fallacies like those of distributed computing and anti-patterns like functional decomposition and entity services are all well and good, and necessary heuristics to good service design, but one often crave more concrete guidance. There are many great techniques to consider, like context mapping, user story mapping, event storming, and value chain analysis, but in this talk Trond will focus on the lost art of business capability modelling. The thesis is that a technique that was relevant in the pre-computing era might be just as useful and relevant when splitting monoliths into a mesh of autonomous (micro)services. Maybe they could even help dentify subdomains, contexts, and organisational structures; in effect constructing a sociotechnical system? Trond is an IT architect from the consulting firm Scienta and has many years experience with large, complex, and business critical systems, primarily as a developer and architect on middleware and backend systems. His main interest in the last decade has been service-orientation, domain-driven design, event driven architectures, and sociotechnical systems, working in industries like telecom, media, TV, and public sector. Mantra: You have to become the business in able to design solutions that truly fit their needs.their needs. Marco is a business software artist who believes that life long learning, focus on language and empathy are the three pillars of quality development. Frustration about the same old methods of working together and developing solutions led him to Domain Driven Design, agile software development, functional programming and CQRS with event sourcing. With years of experience in these topics, he helps teams to change their code and culture to optimise their efficiency. He is a speaker at Architecture and Quality conferences worldwide and has led numerous private and public engagements for transitional training. His conference workshops on CQRS & architecture and “modellathons” are delivered using highly interactive learning methods and focus on collaboration and strategic design across teams. Microservices brought you significant benefits, which allow you to structure teams based on business capabilities, improve scalability and enable the flexibility of being polyglot. Unfortunately, these powerful architectures are often complemented by a feature-rich browser application which ends up way too often in the creation of as a single, big and sprawling frontend-monolith. The approach of micro frontends is an effective strategy to tackle this problem and first appeared at the end of 2016 on the ThoughtWorks Technology Radar. By going into detail about the idea of extending the concepts of microservices to the frontend world, the importance of end-to-end verticals, the difference of an orchestration- or choreography-based implementation, and the trade-offs in reusability become reasonable. Upon a closer look at the advantages and challenges you’ve experienced in customer projects, it turns out that micro frontends are not a silver bullet either. Rather, they are suited for a specific set of problems. In a nutshell, micro frontends can be a powerful tool to avoid frontend monoliths and this talk will give you the needed knowledge to decide if it’s the right one for the job. David Leitner is an Enthusiastic Software Professional from Vienna who is working in various projects using a bunch of different stacks and environments. He spends much of his time on the frontlines tackling the challenges of scaling software and complex domains. A software engineer with more than 10 years’ experience preferring his code simple and small instead of clever and edgy. David enjoys sharing his knowledge as speaker at conferences and as a lecturer for his post-diploma courses at the University of Applied Sciences Technikum Vienna. As organisations look to empower engineers more, and embrace devops practices, you have seen the support role change quite a bit too. Developers are moving from being purely third line support, to working more collaboratively with engineers and operational staff. Also as you move to cloud native microservice solutions, the increased complexity and diversity of our production landscape means operational staff may well rely more heavily on the engineers, in particular out of hours. Nicky has spent the last 18 years working across a plethora of industries utilising a myriad of technology and approaches. From working on everything from trading applications to content enrichment APIs, she has seen a lot of approaches and processes try to help minimise operational support for developers. Events are your industry’s near and dear. All technological conferences are full of talks on event sourcing, event driven architectures, or event driven integrations. So hey, why not make another one? …But a bit different: Let’s talk about the dark side of this pattern. Events, as any tool, can be used productively or destructively. Those sights are not for the faint of heart, but fear not. You will get heuristics that will help you identify those situations, eliminate event-driven accidental complexities, and make events great again. Like most things pushed by Netflix, microservices are all anyone is talking about. And it's not just hype, there are real benefits at play: better scalability, technology independence, faster development, easier deployment, and increased resiliency to name a few. But just because you cut your big scary monolith into itty bitty bite-sized chunks doesn't mean you're actually cashing in on all that microservices have to offer. In particular, this talk focuses on one fundamental question: Are your microservices independent? Microservices should be modelled as isolated units, but in reality, robust systems rely on cooperation between those different units. This seems like a Catch-22, but there is hope! Lightning Talk: A Wild Domain Expert Appears! Domain-Driven Design is easy, they said. Just talk to your domain expert, they said. Fun and profit, they said. Enthusiastic and intoxicated by the word of Evans you paraded into the office, blue book under your arm, with a curious mind just waiting to be filled with amazing knowledge and insights from your domain expert. But he didn’t show up. Who is this domain expert anyways, and why is he so crucial to us? And more importantly, where is he? In this lightning talk you’ll get receive a fresh perspective on the different types of domain experts you encounter in the wild - including, but not limited to the manager who long lost track of the business, the contracted business analyst and of course the real domain expert - how to identify them, and how you can leverage their knowledge to shape excellent solutions in the heart of software. The literature and resources on DDD, or software-related in general, are mostly in English. Even the domain-specific discussions are presented in English. However, many of you design software for users whose native language is not English. In such cases when going through the knowledge-crunching process with the domain experts there are no English terms mentioned and both the model and the Ubiquitous Language are expressed in the native language. Then you try to implement the model and suddenly there is a dilemma whether or not to continue using non-English domain terms in code or do we try to translate them? How do you bridge the two worlds? Ignoring the issue may lead to discrepancy of Ubiquitous Language applied in code vs. oral communication and documentation. This talk will present the challenges the teams have encountered while developing patient record systems for Norwegian hospitals, trying to code in English and communicating with users and domain experts in Norwegian. Takeaways are the lessons learned and suggested approaches on improving the model while lowering the language barrier. Mufrid is a Senior Software Developer/Coach at DIPS, Norway, which is a leading software house for healthcare domain in Norway. He is a developer with 17 years of experience in the telecom and healthcare sector, and he's deeply involved in developing enterprise-solutions for complex domains. He's actively been involved in introducing DDD to the organization both on strategic and tactic level. Mufrid has constant focus on knowledge sharing in the organization and increasing co-developer’s business understanding. This has led him on the path of knowledge crunching techniques, Event Storming, Domain Storytelling, Impact Mapping etc. that he has been actively applying in the projects he's been a part of. Apart from work Mufrid enjoys spending time with his family and engaging with his kids in STEM activities. He is a enthusiastic First Lego League mentor and has actively contributed to the FIRST community locally and internationally. Join Michael for a Keynote session at muCon! End of muCon London 2019! See you at muCon London 2020! Volunteer at muCon London 2019! Interested in Microservices, DDD and Software architecture, and eager to learn the latest news? You have the chance to get a free ticket to muCon London 2019! All we need from you is some help in setting up the conference and assisting us during the conference itself! You will be free to attend the conference for the remainder of the time. Are you ready then? 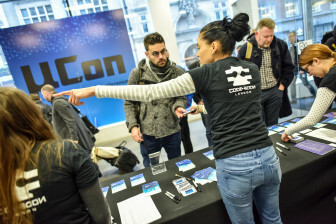 Email us at conference-team@skillsmatter.com and we will put your name down as a volunteer for muCon London 2019! Shifts and detailed info will be confirmed about one month prior to the conference. The muCon London 2019 Diversity Scholarship Plan is now closed, thank you to all those who applied, and please feel free to apply again next year. Call or email our team about the µCon London 2019 Fringe Package for a special discount on bundle tickets! Want to explore how to model a complex business process, or the whole company software landscape without being trapped in an endless boring analysis phase? During this two-day workshop learn to develop an accurate model for your problem domain, develop strategies to model key areas and effectively manage the whole system. Leverage collaborative design, without falling into the common pitfalls from data-driven architectures. Join this hands-on, extremely practical three-day workshop and learn how and why to design, deploy and manage micro service based architectures. Using microservices, this course will teach you how to build software that adapts as fast as your business and requirements do. This course will teach you how to understand why Antifragile Software is the key to enabling software systems that thrive on change and enable innovation and architect, design, build, deploy and manage antifragile software systems using microservices. Are you ready to learn how to design and build microservices with RESTful APIs? Join Jim Webber for his comprehensive three-day course at the leading edge of REST and Microservices and learn how to design and build microservices with RESTful APIs through examples in code, live demos and design challenges, together with lively discussion to help mature our thinking on what makes a competent microservices ecosystem. Would you like to write about muCon 2019? Do you blog on innovations on microservices? Come and join us at muCon London this year! If you blog about muCon 2019! and send us the link, we'll proudly feature you on these pages! And if you would like to write an article or interview some of muCon's amazing speakers, inventors and thinkers this year, contact marketing team and have a chance to win a free press pass.